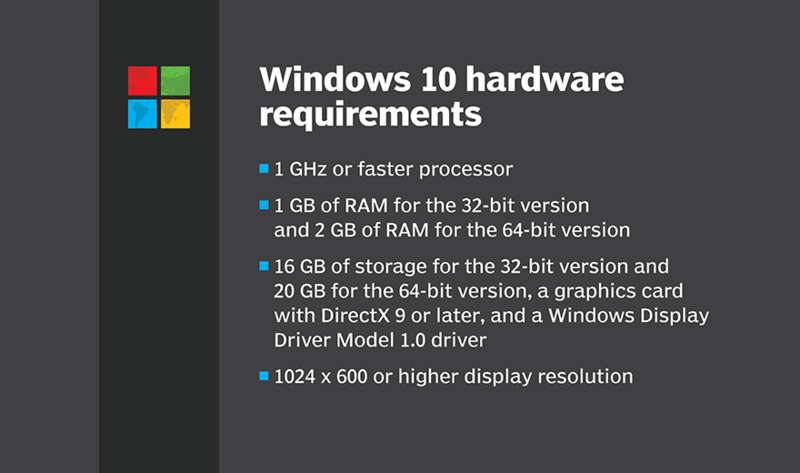 What are the Windows 10 app compatibility and hardware needs? Windows 10 app compatibility is critical because there are some legacy apps users can't survive without. To bring legacy apps to Windows 10, IT can turn to the Application Compatibility Toolkit inside the Windows Assessment and Deployment Kit. The Compatibility Administrator within the toolkit enables IT to review a list of apps that are compatible and what they require to run on the new OS. It also has shims, which are command-line tools IT can use to make an app run on Windows 10. If the Compatibility Administrator does not have the shim IT needs, IT pros can create them. IT can also use Compatibility Mode to force Windows 10 app compatibility for a particular app, or to make adjustments to individual aspects of the app. Just because an app is compatible doesn't mean that every aspect of the app will work correctly in Windows 10. As a result, it is wise for IT to conduct a trial with specific users so they can identify where any issues might crop up. It is a good idea to exceed these requirements to ensure that the OS runs efficiently. It's also important to remember that certain features require special hardware to work, such as Windows Hello, which requires a 3D infrared camera to perform facial recognition. How do you determine if your apps are compatible with Windows 10?